Many times, people wonder what their first day at Foundations Asheville will be like. Though no first day or any day thereafter is ‘typical’, here are a few things that you can expect when you first arrive. First, students will be living in one of our three houses in North Asheville. After arriving and getting unpacked, students then meet with our director of education and career. From here, staff help students set both short and long term goals to accomplish in the coming months at Foundations. 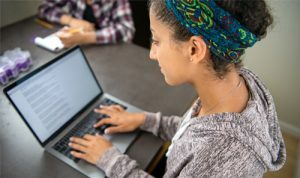 After goals are set, mentors help students create a schedule of concept areas to work on every week so that steps are taken to achieving these goals. Though no day is exactly the same, here is a rough outline of things that one could expect to do on a typical day. At Foundations, our day starts around 8:00 AM. Upon waking up, most of our students being their morning routine including hygiene, breakfast, cleaning, and scheduling. Then our students usually head to out to accomplish their goals for that day whether its going to classes, working, or volunteering. Our group usually reconvenes around mid afternoon. During this time we focus on group engagement, physical activities, or new hobbies. 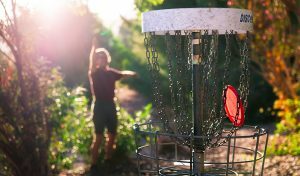 Some of our students go to the YMCA while others choose to partake in outdoor activities such as disk golf, paddle boarding, or join recreational sports leagues in town. 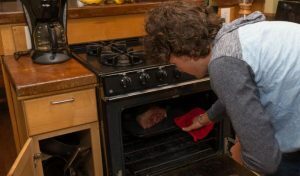 The evenings are a good time for the group to learn practical life skills such as cooking healthy meals, setting the table, and cleaning up post dinner. After dinner, we have a support group for study skills and learning healthy study and work habits. This is followed by some downtime then bed. One group session of 90 minutes. One round-table group discussion on a current event, or relevant topic of choice which is selected by the students and can be discussed free of conflict or criticism.